sweet green tangerine | Press Play. Thursdays, as always, are Book Chat days hosted by Jessica over at Sweet Green Tangerine. Head over and link up! Today’s question: Who are your favorite male characters? Least favorites? In my last few book reviews, I’ve mentioned how important male characters are to me. Especially in YA (I say especially because I realize that they’re catering to younger people) I look for strong male characters that have real depth to them- not just really good looks. When I first started reading The Book Thief I just wasn’t sure what to make of it. The characters, the POV and the overall story started off by confusing me. The minute Max was introduced to the story, though, I truly began to fall in love with this book. He is one of my favorite parts of the whole novel. Him and Hans are two of the most memorable male characters in all my reading history, to be honest. But Max? I have a special place in my heart for that character. John Green is one of my favorite authors, so it’s really no surprise that just about ALL his male characters are in my favorites. This may sound somewhat biased, but the reason I really love his writing is because his lead male characters (most of his books are from their point of view) have so many fun quirks and I just love discovering more about them throughout their stories. Augustus Waters is definitely his most unique character. I loved meeting and learning about him. I must say though that runner up is Colin from Abundance of Katherine’s. That character doesn’t get nearly enough love and he is SO damn awesome. Love his anagram skills! The entire time I was reading Cinder I couldn’t believe how awesome Kai was. I can’t stress how much I love this book enough, and he is a huge reason why. He not only sounds freaking adorable, but there is SO much to his character that makes me wish he was a real person so we could meet. I really need to re-read these books because I don’t remember Thomas nearly well enough. But considering the entire trilogy is told from his perspective AND he’s got the whole memory-loss thing, he’s a very well thought out male character. You learn so much about him throughout the three books, I grew extremely fond of him by the end. Don’t even get me started on Minho, Frypan, Newt and the rest of the guys in these books! St. Clair makes it on the list because I was basically in love with him during this book. Is that weird? Oh well. At first I was all “Ummm St.Clair you’ve got a girlfriend, chill out” but then his mysterious act is all unveiled and it was love. YAY Anna! I’m such a sucker for good stories like this one. Honorable mentions: Ed Kennedy from I Am the Messenger by Markus Zusak, Harry/Ron/Weasley twins from Harry Potter by JK Rowling (these deserve more than an honorable mention to me but since I always talk HP I tried to keep it to a minimum here), and Marcus Flutie from the Jessica Darling series by Megan McCafferty. Least favorites are a bit tougher because I generally won’t even finish a book if I’m not enjoying it (AKA not even KIND OF relating to characters). Plus, I feel kind of mean dissing authors’ writing with least favorites. Basically I’ll be nice & just leave you with all the male characters I’ve loved most. There are several more, but these are definitely the ones that have stood out the most to me, especially in recent years. Who are your favorite and least favorite male characters? 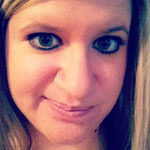 Today I’m doing a blog swap with the lovely Jessica! You can check out my post on her blog today as well. We both wrote about our adventures sharing music together via Dropbox these last couple weeks which has been SO much fun! Hello Press Play readers! If we haven’t “met” yet, I am Jessica from Sweet Green Tangerine. I blog mainly about books and music, but you can sometimes catch a glimpse of my two small boys and one big one…who are all pretty cute if you ask me. I also host the Book Chat every Thursday, which I’m sure you’ve seen Melissa’s posts before. We would love more people to join in, so jump in anytime! My absolute favorite part about blogging is the amazing people I meet. Melissa and I have been blog friends for a while now, and I honestly don’t know if there is another person alive with more similar interests as mine. When you get to connect to people based on like interests and similar tastes, it results in the most rewarding friendships. 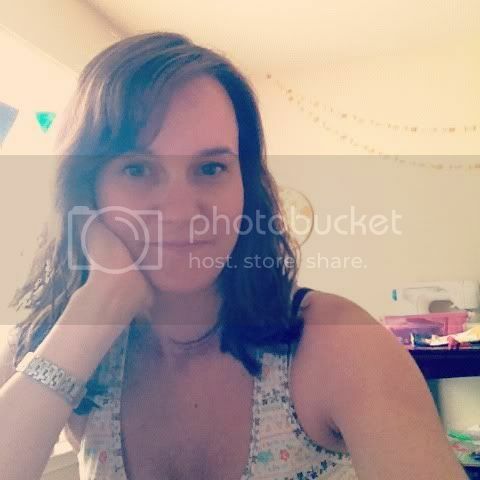 Recently, Melissa invited me to share music with her using a program called Dropbox. It’s basically like a virtual mailbox that lives somewhere in space. I put music into it, and she can download it. Then, she puts music in it that I can download. It’s completely safe and legal (I think). It’s great because we’re not just doing it to “steal” music, but to expose each other to new sounds and artists. Rather than burn a CD and send it out to her via snail mail, I can just shoot her a tweet and say “Hey Mel, check out this band!” and BAM she has the album to listen to instantly. Then, we can promote those bands here on our blogs and everybody wins. 1. 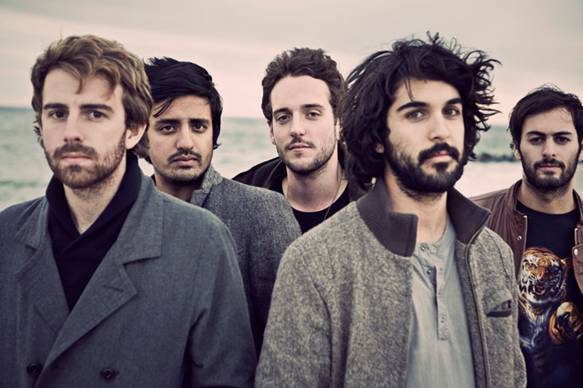 Young the Giant – Young the Giant. Young the Giant may sound like just another mainstream rock band by their singles, but I promise this band has something special in their lead singer. Do give them a listen. Oh man, oh man, oh man. This is easily one of my new favorite bands. I cannot say enough about how much I love this album, but I’ll give it a shot. I heard their single “Little Talks” a lot on XMU and Alt Nation back in November. I was immediately obsessed with that song. However, I never gave the rest of the album a chance. I have a fear sometimes when I fall in love with one song, that the rest of the album won’t live up to it. That is NOT the case here. “Little Talks” isn’t even the best song on the album. Let’s talk about their sound. 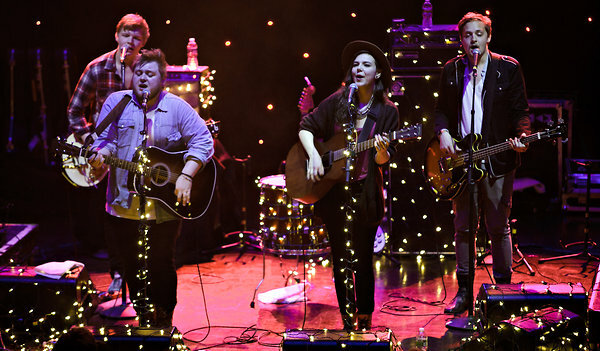 The two lead singers, Nanna Bryndís Hilmarsdóttir and Ragnar “Raggi” Þórhallsson (they’re from Iceland), have these voices that blend so well. Raggi has a sweet, husky voice that sends me away with “Sloom” every time. And Nanna’s voice, while not overbearing, is so gentle and almost timid. There’s a moment in the first song, “Dirty Paws”, where they crescendo into the emotional, yelling line and every time, I get chills. This band owes a lot to their percussionist too, I believe. Every song has a powerful tempo that supports the soft voices and sinewy instruments. Let’s talk about the song “Lakehouse” for a moment. What is it about this song?! When Melissa told me she listened to them sound-check with this song, I was drooling with jealousy. Best song on the album I tell you. They invite you in with this sweet guitar melody and simple harmony…pause in the music…then BAM, the band joins in and I’m swept away. This song soars. Once again, the percussionist owns it. Then Nanna joins in with the line “Can you chase the fire away” and it slays me. Her voice. Okay, stop reading this, and just go listen to it and I promise you’ll know what I’m talking about. Basically, their sound is humble and honest. They are a stellar team and they work together seamlessly. There are so many moments in this album when I literally hush everyone in the room with me, and we just listen. Particularly to the instrumental refrain in “Yellow Light”. So beautiful. Thank you Melissa! Thank you. Thank you. Thank you. I have a whole new list of albums that Melissa has sent me that I cannot wait to really explore. I’m so glad she introduced me to Dropbox. It really gives us the opportunity to find & share new music while also becoming even closer friends. If you haven’t used it yet, I recommend you try it. Thanks to Melissa for having me on the blog today…hope we can do it again soon! 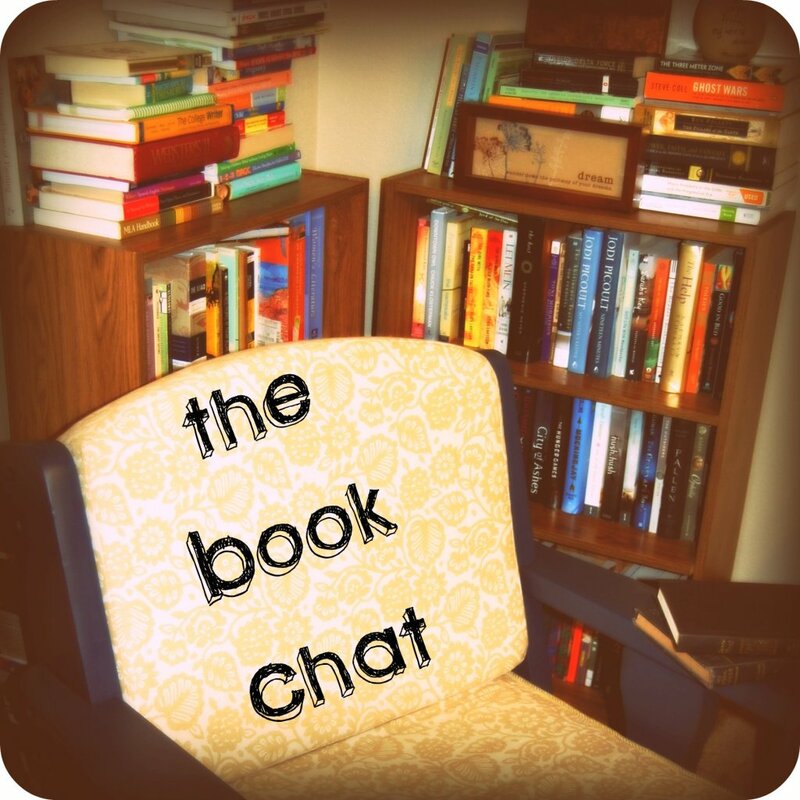 The Book Chat is hosted weekly by Jessica over at Sweet Green Tangerine. Go link up! Today’s question: What are you favorite childhood books? I was a bit of a strange reader as a kid. To be honest, I don’t remember reading picture books with my mom when I was very young, but I do have vivid memories of my father taking me to the library and looking at stories for a few hours. I don’t remember ever having a favorite though as I never owned any of them- I think I liked just going and looking at everything the library had to offer. As I got a bit older he would also often bring me (strangely enough) to the place where I now work. It’s been open for about 15 years now, which was just a few years before he passed away. When the store was first built there was a huge castle in the kids’ department with computers to play games on. I loved going and playing with the other children, looking at the thousands of books, and every once in a while I was treated to a new chapter book! Those are my fondest memories as a child, which may kind of explain my fondness for where I work now. It’s changed a LOT (and expanded somewhat) since then, but it’s always felt like I came around full circle when I started working in the place that I practically grew up in. I started remembering the books I read when I was around 7 or so. Other than buying them with my dad, my mom would often give me two dollars to run across the street to the Dollar Store to pick up the newest edition of The Babysitter’s Club by Ann M. Martin. It kind of feels like every girl my age read those; I’m sad I don’t remember much about them other than the cheesy 90’s covers, but I constantly recommend them at work to girls who were the same age as me! 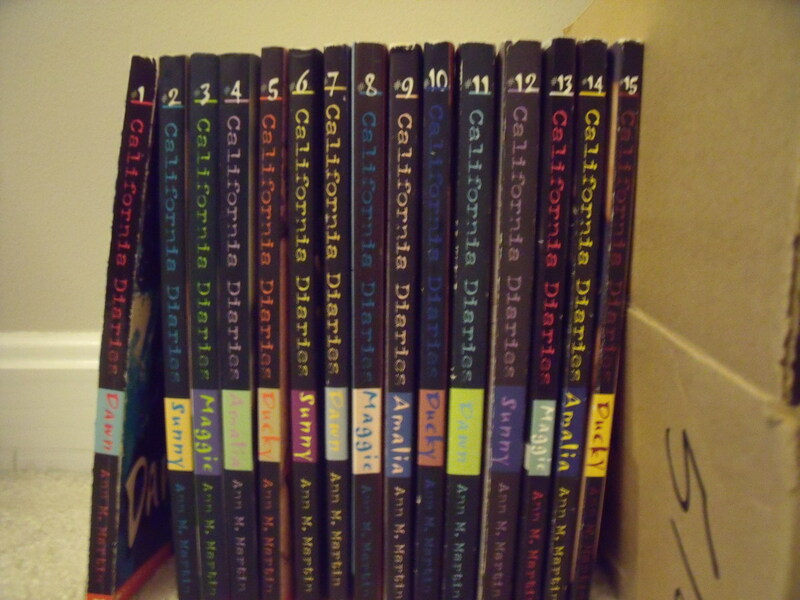 Other than Harry Potter, I started reading a series around the age of 9 called the California Diaries. They were also by Ann M. Martin actually (I think this was her series right after Babysitter’s Club?) although not many people remember them besides me!I still have a few of those and I can’t even tell you how many times I read them. Over and over again. Unfortunately they’re way out of print now, but I’m fairly convinced I’d still totally love them if they came back out. They all followed a group of friends who had to keep journals in school. Each of the friends had their own series of books (Dawn had a few, then Amalia, Ducky, Sunny, and Maggie) and at some point in their journals they meet and all their lives start to become intertwined. I loved it. I remember their individual stories SURPRISINGLY well- they each battled their own important real life situations, and even as a kid I could appreciate how scary the world could be for other people. I think it was right around then that Harry Potter came out and, well, the rest is history! I feel like I kind of went on a little tangent with this Book Chat, but I suppose that’s what it’s all about? Little tidbits about my reading life and how it shaped me as a person! As an adult, I buy books in excess. I think I like making up for the fact that money was so tight as a child and receiving a new book was a REAL treat. I still have a ton of those first chapter books and keep them in a safe place- I just wish I’d kept those cheesy Babysitter’s Club books! Those covers are so priceless. What are some of your childhood favorites? 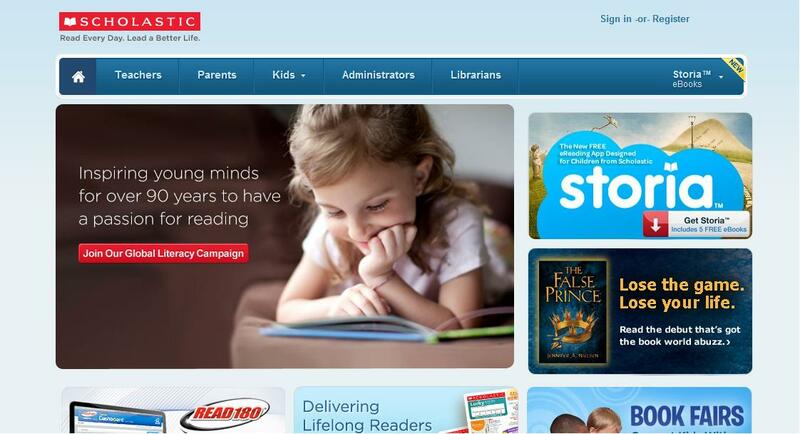 Today’s question: Choose a book and make a playlist for it! I am ashamed to admit that as a book lover AND music addict, making a playlist to go with books is not something I’m very good at. Although to be fair, I’ve never tried. Usually when I’m reading, I turn on my ‘Faves’ playlist. It’s constantly refreshed (like, daily) with whatever songs I’m listening to on repeat. So today, I’ve decided to share with you a good book & some good music. They don’t necessarily go TOGETHER but it’ll give you a little peak into what I’ve been reading and listening to all at once! I actually finished this book just yesterday, so I thought today’s post would be a great reason to do a little book review & share some of the songs I listened to repeatedly while I read it. This was my very first dip into the world of Sarah Dessen and I must admit I quite enjoyed it! The story revolves around Macy, a young girl who lost her father suddenly to a heart attack a year and a half earlier. Since then, she has mastered the art of seeming perfect. Her looks, her behavior, her grades, even her boyfriend. But when the perfect boyfriend leaves for the summer, sticks Macy with his extremely boring job at the library, & breaks up with her, Macy finds herself looking for something more to life. She comes across a job at WISH, a catering company owned by the wonderful, chaotic, imperfect Delia. With Delia & her crew, Macy begins to truly grieve for her loss and realize that being perfect is not only unnecessary, but not possible. With the help of Wes, the gorgeous boy who works for Wish and becomes Macy’s best friend, she learns that there is more to life than perfect grades and a desk job that makes her unhappy. She is in control of her forever, and with Wes Macy begins to see that she can be happy once again. 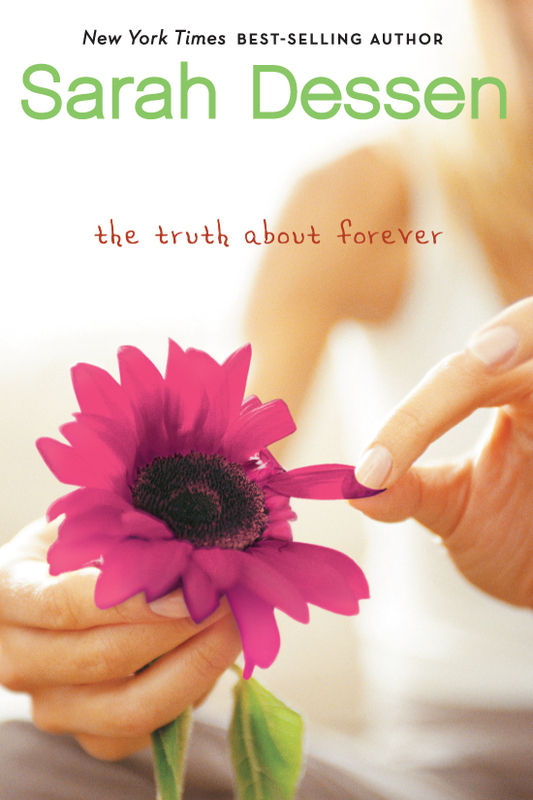 Truth About Forever is a story about loss, love, truths, and a great coming of age novel for girls at any age. I would normally make this a bit longer, but since this is like a three-in-one post I’ll try and keep it short and sweet! Overall, I thoroughly enjoyed this book. I think Dessen has a great style of writing & she gives each of her characters a depth that I had almost forgotten could exist- it’s been a while since I’ve read a story who’s characters felt so incredibly REAL to me. I’ll be honest, this book was a bit tough for me to read. Not only because the first 100-150 pages are a bit slow going, but the topic itself. I’ve gone through losing my father & I connected with Macy on A LOT of levels. We’ve had completely different lives of course, but being inside her head and reading things that felt so real to me too was not easy. It was, however, wonderful. This book definitely made me cry. Other than the slow start, the only thing that I wasn’t crazy about in this book was the slow plot development. The “climax” of the novel wasn’t until MUCH further in the story, and that made it hard to want to continuously follow along. I wish there had been more development between Wes & Macy, but that’s just my romantic side wanting to read more about them- not a fault on Dessen’s part at all. I actually really like that the focus was so much on Macy and her grieving process. I would definitely read more Sarah Dessen, so let me know which are your favorites so I know what to pick up next! Give Me Love by Ed Sheeran — You should be listening to this guy. What a talent. Called Out in the Dark by Snow Patrol— I love this music video! Body Work by Morgan Page (feat. Tegan & Sara)— Thank you random radio station for this. Love! What are you reading & listening to these days?! 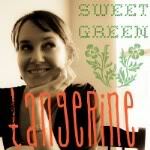 The Book Chat is hosted every Thursday by Jessica from Sweet Green Tangerine. Head over and link up! 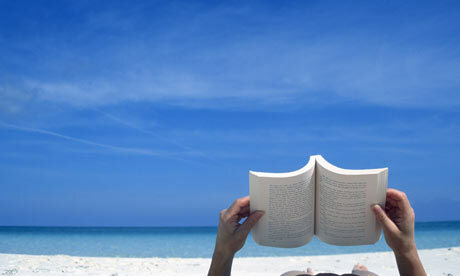 Today’s question: What are some of your best vacation reads? I’m a big reader on vacation. I actually make an effort to read more on vacation than at any other time, simply because it is the most relaxing thing I can do, and often the hobby that gets put on a back burner when I have too much other work to do. But on vacation? All bets are off. #5- The Knife of Never Letting Go by Patrick Ness. This was my most recent vacation read, when I went to Florida. Honestly? If it weren’t for vacation I’m not sure how long it would have taken me to finish! I was reading it on my Kindle and it was taking me forever. All I needed was a good 5 hour plane ride, and I was completely immersed in the story. Now I can’t wait to read the last two in this dystopian trilogy! PS: This book just got a director to be made into a movie. Charlie Kaufman will be directing Knife of Never Letting Go & I predict great things for it. #4- Blink by Malcolm Gladwell. If it weren’t for all the hours I spent at the beach in Europe, I may have never picked up this book. But with all the free time from learning, it seemed my brain missed it. I needed this good, thoughtful book to get my brain working again! It was a fascinating read and I couldn’t believe how immersed I was in Gladwell’s work while on a BEACH. I talked to all my friends about it while I read it, it was just so cool. #3- My Name is Memory by Ann Brashares. One of my guilty pleasures in reading is epic love stories. This one was no different. I brought it to Greece with me and proceeded to force my 3 other friends to read it when I was done. I just love Ann Brashares! #2- Sloppy Firsts by Megan McCafferty. As if I haven’t talked about this book a million times already, but I brought this one to Cuba with me and couldn’t believe what a gem it was! I laughed like a crazy person on the beach, came home, and bought the rest of the series. So good! #1- The Lightning Thief by Rick Riordan. I brought this book with me to Mexico and could not put it down. Although it’s much younger reading, it was the perfect mix of funny and adventure. I proceeded to reading the entire series when I came home! Probably one of the best vacation read choices I’ve ever made. What are some of your most successful vacation/beach reads?! The great thing about sponsoring blogs through an ad swap is that all the ladies on my sidebar are bloggers I have come to know and love their work. I currently have six sponsors up on my sidebar, and am willing to go up to TEN. So if you’re interested in having a spot up there, please feel free to leave me a comment or send me an e-mail at mliss024[at]gmail[dot]com. All the lovely bloggers who’ve agreed to sponsor me don’t really know that I’m doing this, but since I’m a fan of their work, I thought I’d introduce you to the six of them today and why I think you should be reading THEIR blogs. Allyson reminds me SO MUCH of myself as a blogger. She writes about life as a Public Relations intern, travel, music, and everything in between. I discovered her through our ad swap and have been SO happy learning more about her! Stephany is one of my absolute favorite bloggers and my blogger BFF. I’ve been a follower of hers for years now, and love reading about her life as she makes her way through all of its adventures. From health, to travel, to her goals, all of her posts are worth checking out! 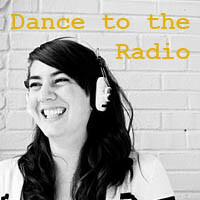 I first discovered Liz because of the gorgeous jewelry she makes over at her shop Craft to the Radio. Other than trying really hard to not buy out her entire stock of necklaces, I love reading her blog. It is my fix for new music any time I need it, interspersed with bits and pieces of her life! Natasha’s blog is a fantastic space if you’re looking for great writing. If I’m not mistaken, she writes almost every single day, and her posts are always so well done. Not to mention she also has a Life List, like me! Jessica and I first met over our mutual love for Mumford and Sons. Since then, it has been so good getting to know her through her blog. She writes about music, books (we have SUCH SIMILAR TASTE in both) and her adventures accomplishing goals, as well as being a mama to two beautiful little boys. San is a lovely blogger that I met thanks to Twitter and our love of books. Her blog is filled with her life adventures, beautiful pictures, and the things that inspire her every day. She is one of the sweetest ladies I have had the pleasure of meeting through the blog world! I hope you’ll take some time to check out the bloggers that you didn’t already know, and leave them some love! Who are your current must-read blogs? Don’t forget to leave me a comment if you’d like to do an ad swap with me! After two weeks away, I missed you, book chat! Now that school is over, I am so happy to get to talk books again every Thursday. Book chats are hosted by the lovely Jessica over at Sweet Green Tangerine, you can link up too! Today’s question: What is your favorite friendship in a book? My immediate answer to this has something to do with Harry Potter. But since you all expected that, I’m going to try and impress you with a BRAND NEW answer and introduce you to a new friendship that I loved! The truth is that there are many friendships in books I love. In true cheesy manner, I think it’s one of the best parts of any good book I read. Since I feel like I constantly write about the same rotation of books, I thought I’d bring in my most recent favorite friendship about a book I finished TWO DAYS AGO. But it was just that good. I’m talking about Anna and St.Clair from the adorably sweet book Anna and the French Kiss! Since I really want to review this book soon, I’m going to try not to talk so much about the book itself & just focus on the friendship between the two main characters. Basically, Anna meets Etienne St.Clair when she moves to Paris for school for a year. He’s by no means a “perfect” boy and she is nothing like the “perfect” beautiful girls that so often show up in romance novels. They’re both quirky, extremely well written characters that you get to know incredibly well throughout the book. And although they clearly have crushes on each other, they become inseparable best friends before anything else. I think that’s just my favorite part. Anna is thrown into a world that she’s completely unfamiliar with, and St.Clair helps her navigate through a culture that is completely foreign to her. He gets her thoughtful gifts, he is ALWAYS there to listen to her, and she for him. It’s one of those stories between two people where you just clearly know something more will happen, but reading about just their friendship is half the fun! – The four girls from the Sisterhood of the Traveling Pants. I don’t think anything will beat Tibby/Bridget/Carmen/Lena for me. They will forever be one of my favorites! – Ron/Harry/Hermione from Harry Potter. I mean, come on. I just love them. – Simon and Clary from the Mortal Instruments series by Cassandra Clare. They might be one of my favorite platonic boy/girl friendships! What are some of your favorite platonic/non-platonic book friendships?